As the daughter of a film producer and an actress/concert pianist, Louise Sorel was destined to wind up in entertainment. She was bitten by the acting bug while attending Hollywood High School, thanks to an enthusiastic drama teacher by the name of John Ingle (Edward, GH). Though she was already in Tinseltown, Sorel headed to New York City after graduation and was cast in the Broadway production of Take Her, She’s Mine with Art Carney. “Every time I auditioned for something, I’d get it,” she told Digest of her early years in the business. The actress amassed a long list of credits before tackling the role of SANTA BARBARA’s imperious Augusta Lockridge, which eventually led to her one-of-a-kind turn as DAYS’s popular Vivian. In her spare time, Sorel is a champion of animal causes and is developing a book based on her soft-coated wheaten terrier Madison. Her birth name is Louise Jacqueline Cohen. Sorel is her mother's maiden name. She was credited in the 1957 film, Eighteen And Anxious as Jacqueline Sorel. She is formally trained in mime. She studied French at the Institut de Français in Villefranche-sur-Mer. She has five Soap Opera Digest awards. Sorel was married to actors Herb Edelman and Ken Howard. What's The Most Important Lesson You've Learned At Work? Louise Sorel Back To DAYS! 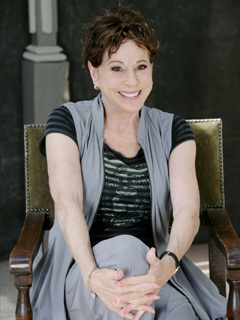 Louise Sorel (Vivian), who returned to Salem in 2009, is the second actor to get cut in the major shakeups in Salem.